Have you ever been doing some online shopping, leave the site, decide to check Facebook, and the very item you were looking at appears in your feed in an advertisement? What magic is this? It’s not magic at all, but a form of online advertising called retargeting (or remarketing). If you haven’t been using retargeting when marketing your business, you could be missing out on a potential gold mine. Retargeting is the practice of serving ads based on prior engagement. While there is more than one form of this technology, we’re going to be discussing Facebook retargeting technology in this blog post. The most common form of retargeting is site-based retargeting. Site-based retargeting is the practice of serving ads to people who visit your website after they leave. These ads appear on Facebook but also in their network of sites around the web, keeping your brand in front of your bounced site visitors in an attempt to bring them back. By using a Facebook custom audience you can retarget your website visitors based on pages they visit, pages they did not visit and even include a time frame for the visits. When someone comes to your site, a cookie is dropped, and eventually, they leave and later visit Facebook. The cookie lets Facebook know that they are among your website traffic and should be included in your custom audiences to retarget to. If you have an ad running targeting that specific custom audience, then Facebook will display your ad to them in their feed or sidebar. For example, if we run an ad on Facebook to get people to our signup page for our newsletter, when someone comes to that page, the Facebook pixel tracks their visit. Some will complete the form and some won’t. It’s easy to group those who never got the final “Thank you” page by tracking their pixel. We can later create an ad based on people who visited the signup page, but never got to the “thank you” page and retarget an advertisement just to them. Sort of “Hey, did you forget to sign up?” advertisement. Once you’ve set up your custom audiences based on your website pixel code, Facebook has one more nifty feature you can use to maximize retargeting. You can probably make a good assumption that the audience of people who visited your website are interested in your product or service but if the number is small, you most likely would like to increase that number. 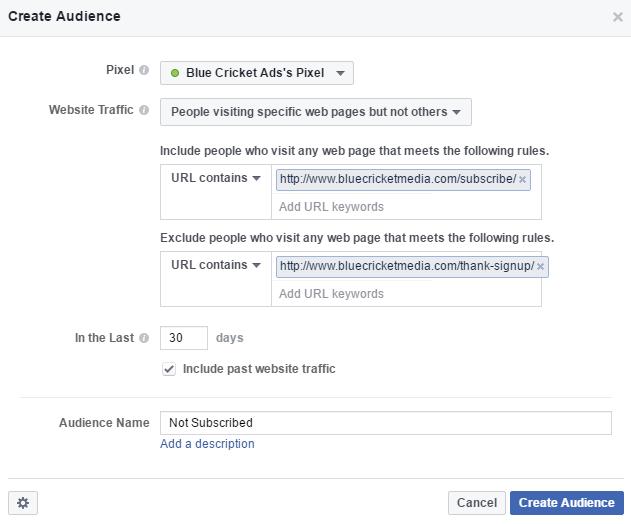 Using Facebook’s “lookalike” audiences, you can now create another set of people based on the interests of another audience. This takes a lot of the guesswork out of trying to figure out the interests of those who show an interest in your product or service. Who Can Benefit From Retargeting? Retargeting is very commonly used by e-commerce companies, and rightfully so, as it is one of the most effective ways to bring back bounced traffic and combat shopping cart abandonment. Amazon has retargeting down to a science and there aren’t not many products you can view on their site that you won’t see again on Facebook. However, e-commerce companies are certainly not the only businesses that can benefit from this technology. B2B companies are often the perfect candidates for retargeting, as it can help them stay in front of leads during longer purchase cycles. Schools, particularly colleges and universities, can use retargeting to increase enrollment and donations. Recruiters can use retargeting to keep their companies in front of qualified applicants and increase application completion rates. Entertainment brands can use retargeting to increase ticket or merchandise sales. Ultimately, any website that does not see 100% conversion rates is a great candidate. For most websites, only 2% of web traffic converts. So who can benefit from retargeting? Everyone, that’s who. 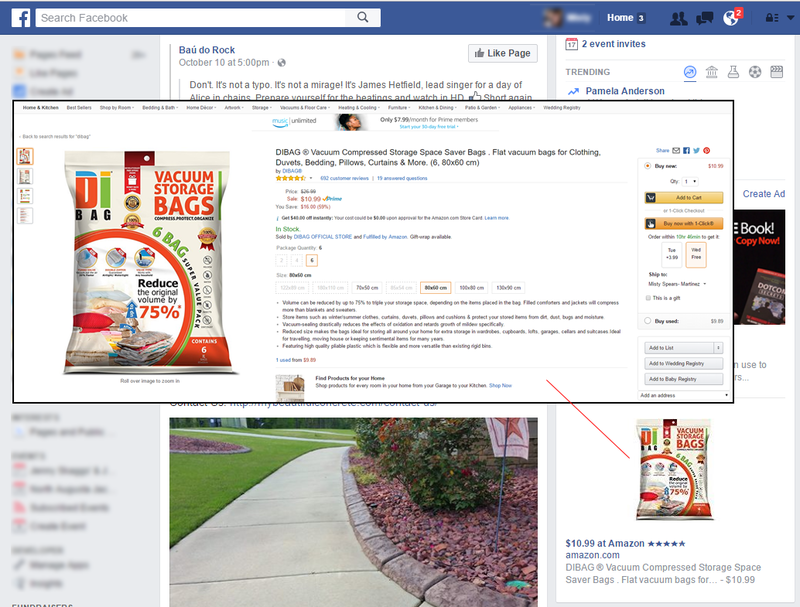 Are you using retargeting in your Facebook marketing efforts? Is it working for you? Let us know in the comments below.